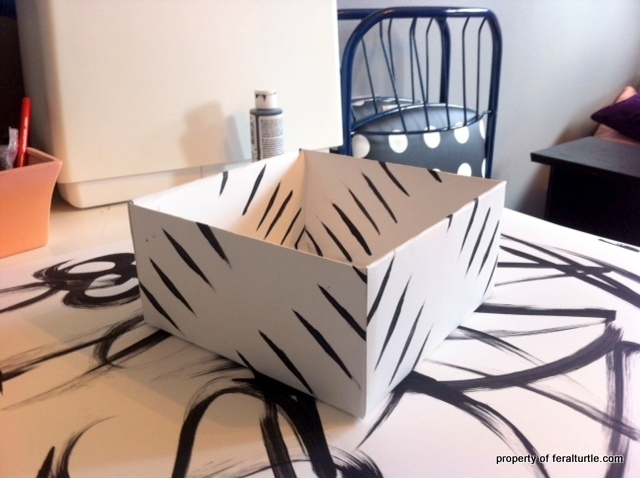 I've been making boxes for YEARS and never thought to mention it. It's obsessive and addictive. My sister has a box I made and covered in fabric, added feet, added fringe and a handle. 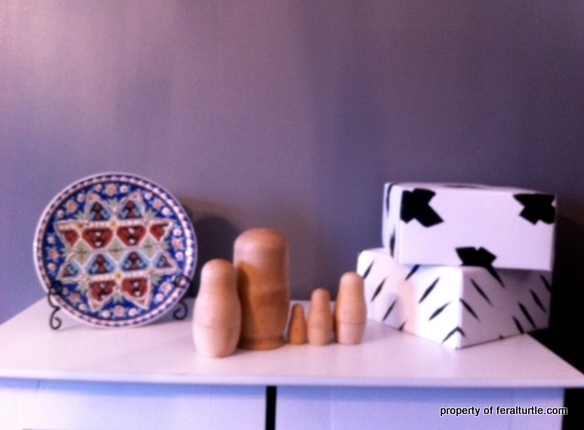 She collects Chinese antiques and it sits proudly in the midst of her collection, looking like the real thing. Happy tip about using poster board. I never thought of it!! I was about to write that this new hobby might make you forget about your darling spiders... I'm happy to stand corrected! The boxes are lovely. I am just thinking I may need to make a few of these to improve the storage situation in my craft room. Lots of generic clear plastic boxes. BORING. I also like that your daughter painted hers and really personalized them. I'm a storage nut and I think these are fantastic!! I think yours are anything but dumb! Embellishment or not, they're adorable. Your daughter's are really stylish. 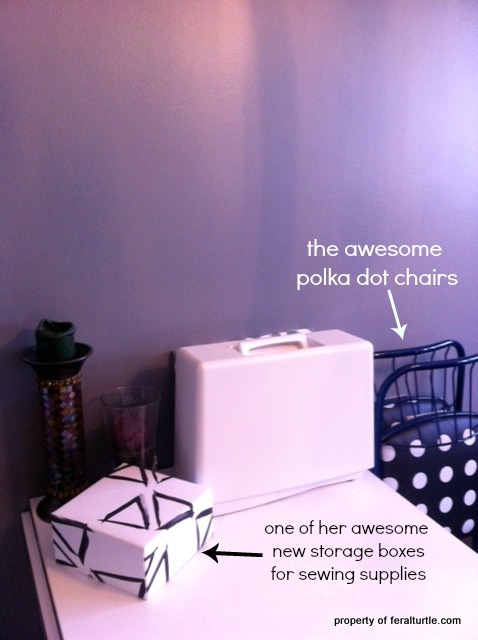 I love the polka dot chairs, and the craft room. It looks like you and her had way too much fun making these. Like an addiction, I might have to try it too! 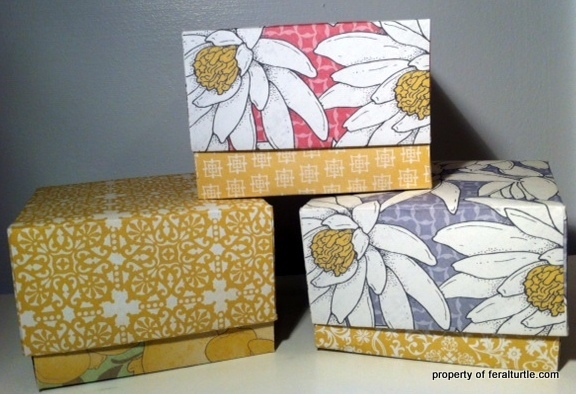 Paper boxes? Who knew! I usually buy decorative storage boxes for a little over $1 at Michael's, so I guess I never thought they could be made out of paper. Brilliant! yours look so fabulous! And add me to the list of jealous folk lusting at your daughter's craft room! 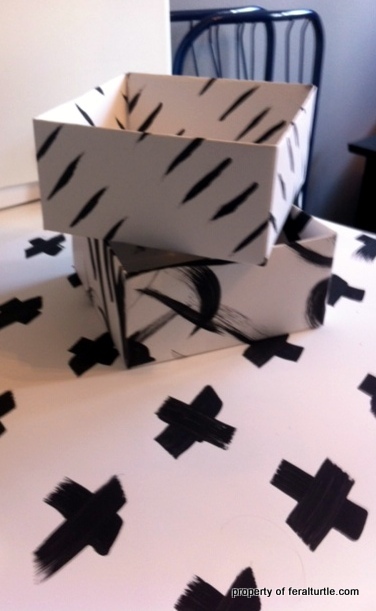 I never knew you could make boxes out of paper. It never even occurred to me. They're so pretty, and the spiders are so much more fun than bows. Oh that's cool I actually liked the Eiffel towers but of course your spidey friends are cooler. Love her craft room I'd love a bigger shot of that chair too. 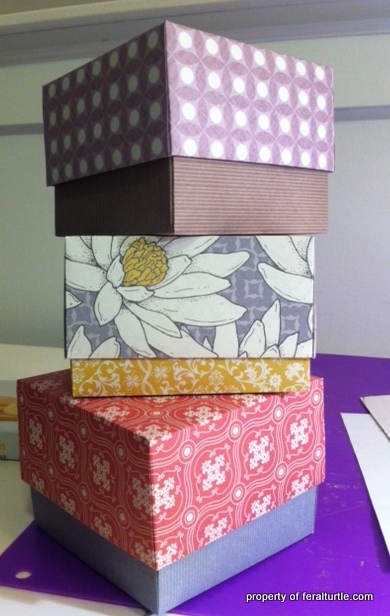 I have made boxes, too, just not in a long time. I have a messy sewing/craft room. But, the fact it is messy and not decorated gives me not one moment's thought. I love the polka dot chairs. Cute. The boxes I promised to look for, have been found!!! They are on my blog today for you. So fun that your daughter is creative too!! Spiderman is very hot! LOL! Why doesn't your daughter have a blog! I want to know how she did those chairs. 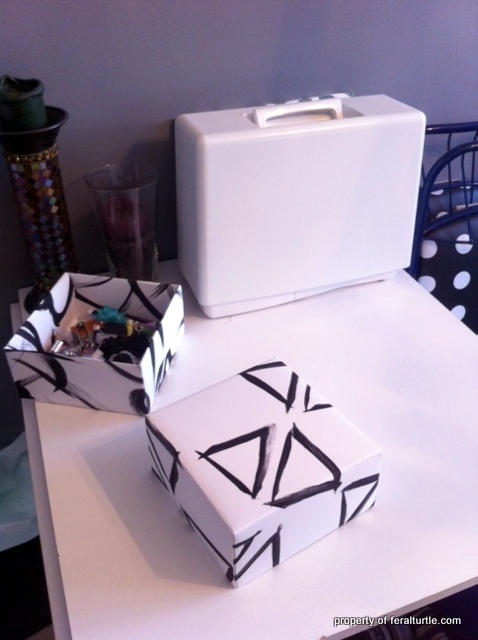 Your boxes are lovely and of course you'll put spiders in them! I remember working on a similar project a couple of years ago, and it was also my daughter the one who introduced me to it! Smarty girls :) The spiders look great on them, hmmm that sounds weird, but they do! I never thought I'd say these words in my lifetime - but ' LEAVE THE SPIDERS ON THE BOXES "